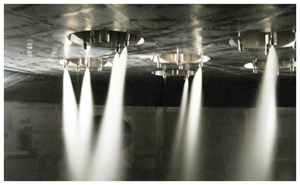 Spray Nozzle Engineering has been offering innovate solutions in the field of fluid mechanics since 1988. With in-house CAD design, computerised CFD software, and in-house spray droplet analysis, as well as, partnering with some of the worlds largest test authorities, our expertise extends to not only concept design; but also the ability to fabricate both spray products and accessories, and associated pipe work, such as spray lances and fittings, to meet standards such as ASME and relevant welding – NDT quality and material codes. Spray Nozzle Engineering has now been providing over 30 years of custom spraying solutions to industries. This has lead us to develop a full-in-house design and engineering team, providing customised solutions to non-standard applications and problems requiring more than just a “catalogue-response”, is as easy as phone call or email. Just some of the industries that our expertise is not only known for, but in which we hold many worldwide patents include pre-engineered vehicle and special hazard fire protection, foam and water delivery nozzles, self cleaning rotating tank cleaning nozzle technology, world leading spray dry nozzle and check valve technology, paper mill shower nozzle technology, steel and pollution control spray lance nozzles, just to name a few. 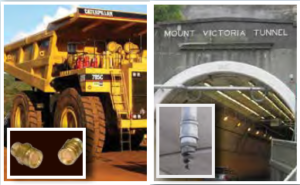 Whether it be project designed spray lances for pollution control, to self cleaning paper mill nozzles, custom spray bars for industry mining or water treatment, special nozzles in high temperature alloys, to tank cleaning nozzles with full QA and traceability, we can assist with both design and construction to your exact needs. Click here to our online enquiry form to begin making your concept a reality. 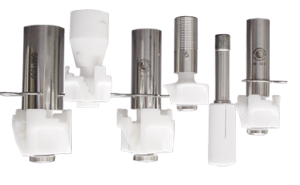 Spray Nozzle Engineering continues to produce the same prompt service that has made the company a market leader for many decades. Providing ongoing support to help customers select the right spray nozzles for the job. Visit our Testimonial page and see what our clients are saying about us. The company constantly introduces new technology and custom designs, with the support of fully equipped spray nozzle test laboratories for pattern analysis and spray droplet size testing, to computerise CFD modelling. Spray Nozzle Engineering has an in-house 3D CAD drawing design department and full engineering design service, allows custom design solutions. 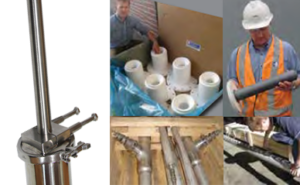 With both in-house QA systems and partnering with ISO accredited suppliers, on-time quality supply is a high priority. The company provides hands on problem solving, engineering and application know how, with the technology backup and expert product selection to provide truly engineered spraying solutions for your applications. We maintain a large stock offering well over 20,000 different spray nozzles and associated products for quick product turnaround.